We open each Sunday Service with time set aside to worship and praise our Father with heart felt music and songs. 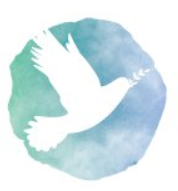 We have a live upbeat worship team with guitars, drums, flute and piano ... as well as intimate songs of worship. Everyone has their own style of worship. From many, that means singing, clapping and raising their hands, and for others it means quietly reflecting on the words. At The Light of Victory Church you’re welcome to worship in a manner that comes naturally from your heart. Each week we have a different speaker who shares their diverse perspective on the Word. Bring a friend and join us each Sunday morning at 8:30 AM - 9:30 AM. 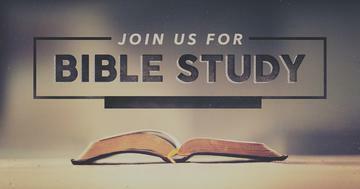 The Light of Victory Church has a Mid-Week Service / Bible Study every Thursday evening from 7:00 - 8:00 PM. Please join us! Invite a friend, neighbor, co-worker or someone you just met. Online giving is simple and secure. Make a one-time gift using your checking account, debit or credit card. Visit our Giving page for more information or click the “Give” or “Tithe” button below to give right now! If you want to use our Text-To-Give option, text the word "Give" to our giving number (917) 746-0761. Grab an envelope at our Sunday service to give by cash or check. Simply fill out the front of the envelope, insert your gift, and place the envelope in the box in the back of the church. That’s it! Ages 18 & up. All are welcome, invite a friend. 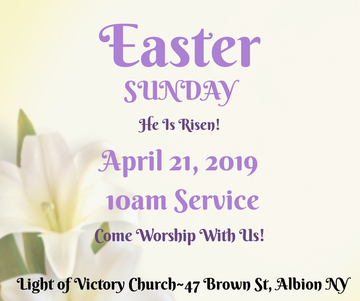 For more information call the Church Office at (585) 283-4199. Click here to go to our event_registration page! Jennifer Hopper is a singer/songwriter and mother of 4. She is married to Christopher Hopper. Jennifer loves Jesus and her heart is to reach people with his love through her gift of music. Jennifer and her husband have been performing at Kingdom Bound the last several years. We are excited to have her come and share with us how to "Flourish in the Darkness". Come out and enjoy a day of fellowship and fun!! Grab a rake, and some work gloves, and join us!! We will be working together to clean up the grounds of the church, inside the church house cleaning, and planting some flowers. We will have a Chili lunch immediately following. Last year we had over 25 people show up, and it was an awesome day for everyone!!! 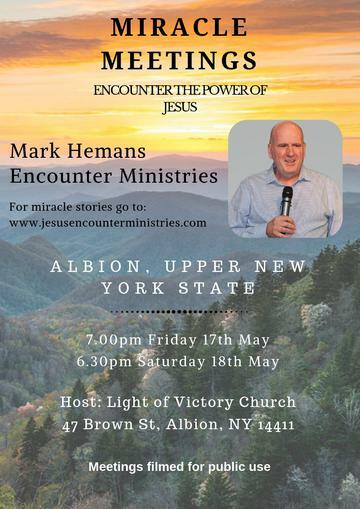 Encounter Ministries - Lives transformed through a living encounter with Jesus Christ. I was saved at 10 years of age by saying a simple prayer of salvation with my mother. The next morning I looked out my bedroom window. I saw the morning stars and suddenly knew that this incredible Creator God was my personal loving heavenly Father, and I was his son. As a teenager I was delivered of a generational curse, baptised in the Holy Spirit, and healed of partial deafness. At this time I also received a divine call to pastor. I grew up in the charismatic movement, and was greatly influenced by the faith & healing teaching of Jim Glennon (Healing Service, St. Andrew’s Cathedral, Sydney). My preaching focuses on the present reality of Jesus Christ, the authority and power of the Word of God. I have a strong desire to help the church to apply in a practical way the principles of God’s Word in their personal lives and ministries. Many also respond to the Gospel. I have a strong belief in submission to local church authority and unity. I find that this provides a wonderful context through which the Holy Spirit moves powerfully. 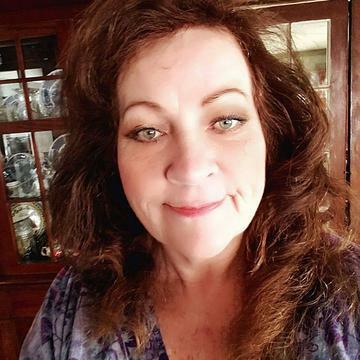 Pastor Margaret Pegge Golden will be sharing with us on Sunday May 19th at 10am, as part of the Encounter Ministry three day event at Light of Victory Church! You don't want to miss it. If you would like a CD of any sermon, you may pick up one off the rack located in the church foyer. Sunday sermons are in the blue envelopes and the Mid Week sermons are in the white envelopes. If you do not see a CD that you are looking for, please drop a note in the tithe box with your request indicating the speaker and / or date. Note: Messages are also available online. Click HERE to listen. 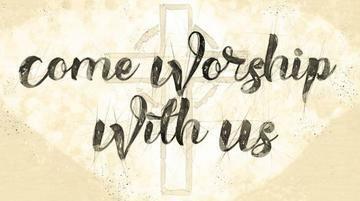 If you would like a prayer request added to the weekly church bulletin please fillout a prayer request card located near the offering box and drop it in the offering box or email your request to lovoffice47@gmail.com. In order to keep the prayer list updated we will automatically be removing requests after one month unless you instruct us otherwise. Who we are ... A full Gospel, Evangelical, Charismatic based church, teaching the whole counsel of God. We Believe … The Bible teaches us how to get to heaven in the gospel of John3:3; that we must be born again as Jesus had taught. We Believe... This is a Faith based organization. We believe that God heals today, just as He did in the time of Jesus as described in the Book of Acts. We Believe … Marriage is between one man and one woman according to The Bible in Genesis chapters one and two. We are also looking for a Nursery / Maintenance Leader. 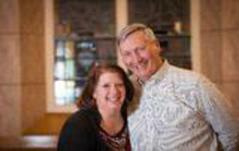 Please see Pastor Rich & Joan Allis if you are interested. Please make contact with the Leaders above. In the event of severe weather or if we have to cancel services for any other reason, information is available by checking one of the rollowing resources: Channel 2 (WGRZ Buffalo) or Channel 8 (WROC Rochester). We will also put a post on the LOV Facebook page. Our desire is to build a ministry meeting the needs of the whole family. We are the Family of God, we interact as a family and enjoy one anothers company.